Lately, prices of Copper have fallen below 50% of their peak price of 2011. Reasons are different, we will try to analyze the price-equilibrium motivations and then, look into some correlations of the red metal. As always, the variation in price is primarily driven by the relationship between supply and demand. It is paramount to look at imports/exports of countries globally to understand the drivers of price. Firstly, we will analyze the supply side and then, after having grasped the offer, we will move to the demand side of the main industrial metal: Copper. Geographically, the biggest mines are almost all found in the country of Chile. In fact, 8 of the top 20 largest mines in the world are all within the country’s borders. Chart 1. Chile’s production dominates the market. However, this information might be misleading: large mines discoveries do not necessarily imply higher supply. The reason is that companies might decide not to start/continue with the extraction of the resources simply because the related cost of production may be higher than the actual selling price. At the same time, in terms of management, they might be concerned about the subsequent spike in supply that endangers price equilibrium. Note that this is the case for the Oil industry; for instance, Saudi Arabia has changed strategy several times by focusing first almost solely on price until November 2014, then on market share, and now on prices again. Regarding the Copper industry, as we will see later, demand for the red metal was immense during the Chinese boom: it drove prices up fourfold in the first decade of the millennium. Due to a never-ending demand, companies were concerned only about maximising production quantity without focusing specifically on innovations to decrease average cost of production. This explains the later supply-glut that started in 2012: Chinese investment declined and companies were left with huge mines and inventories. It is interesting to look deeper into the profitability that Copper entails. By taking Chile as a proxy for the global Copper production costs, it is seen that companies renounced to low average cost of production to exploit high selling volume: strategy that was profitable only before the fall in prices has started. Chart 2. In the last decade, Copper profitability has been massive. Now, not anymore. We assume that, given low current demand, companies will focus on reducing cost of production since they do not have to cover rising demand anymore and in the medium-long term, the lower costs will allow them to remain profitable even with low prices. Thus, from the supply-side we do not expect a rise in Copper prices. Given the characteristics of Copper (malleable, ductile, and an excellent conductor of heat and electricity), the red metal is mainly used for electrical equipment and building construction. Generally speaking, any country has a need for Copper. In reality though, one country specifically is the main driver of the global demand: China. In fact, it has been growing at an average rate of almost 10% during the last 30 years after having embraced free-market principles. By noticing that the Chinese economy has been relying mainly on investment and exports, it is clearly seen why it highly needs Copper: construction activities (31% of global demand for Copper). In addition, a mixture of low labour cost and technological innovation resulted in a high use of the metal for electrical products (39% of global demand for Copper). Note that by summing up the Copper production of China, second largest producer in the world, and the imports of Copper, 45% of global Copper transits through China. By looking at this data, it is clear why prices fell in 2012 when a milder Chinese growth started to occur. The reason is mainly that the government decided to move from an investment-led economy to a consumption-led one. In conclusion, from a demand-side perspective, the outlook for Copper does not look great because China is probably not going to enjoy another boost in construction investment while other countries had not impacted the Copper prices much in any way. Next, we are going to analyze the possible relationship between Copper and Oil. First of all, we must premise that oil futures are much more liquid than Copper futures, with more than 1m trades on average per day, while Copper trade volume fluctuates between 40k and 90k on average per day. Despite this difference, we have spotted a similarity between the price patterns of the two assets, which suggests non-negligible correlation. In fact, we can see that, starting from 2007-2009, both the oil and Copper prices have been moving with very similar patterns. Chart 3. Copper and Oil move in tandem most of the time. Then we decided to check the monthly correlation between the two assets’ returns. The correlation for the whole period is very high, at 0.885, meaning that during the period, on average, the returns were almost moving in unison. Monthly correlation, on the other hand, has been quite volatile, but we can see that for a very long period, since 2008, has almost always been significantly above 0. Our explanation for this is that the Oil price generally influences the price of Copper; this is probably due to the fact that the extraction and treatment of Copper is energy intensive, thus it is likely that the oil price has some influence on the production of Copper. Chart 4. Oil moves the price of Copper with an average correlation of 0.885. Since Chile is the major producer of Copper in the world, we deemed plausible that Chile’s currency, the Chilean Peso, might be heavily influenced by variations in the price of Copper. 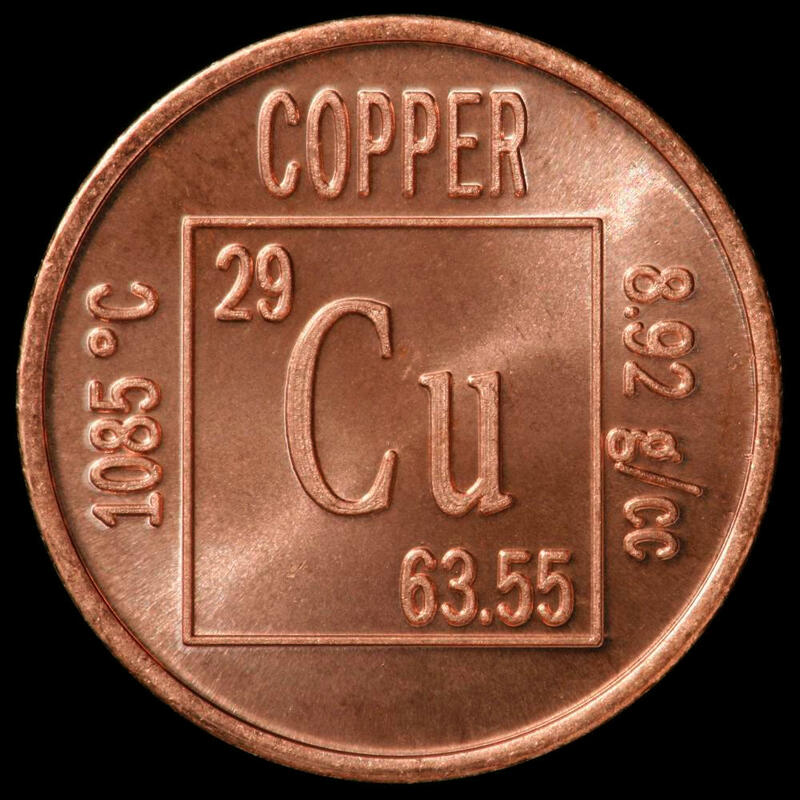 In fact, Chile’s economy is highly dependent on Copper exports, which account for more than 6% of the country’s GDP; the Chilean economy was so influenced by Copper that the government decided to create a Copper Stabilization fund, with the aim of separating the performance of the economy from volatility in the price of Copper. As we expected, we found a positive correlation between Copper and Chilean Peso, with an average correlation for the period higher than 0.5, meaning that when Copper appreciates the Peso does the same. In addition, the monthly correlation, despite being highly volatile, shows a clear tendency of staying in positive territory. (This becomes more evident after 2010). The reason seems straightforward, due to the heavy reliance of the Chilean economy on Copper, the latter’s price becomes a major factor on the value of the currency. Chart 5. Copper influences the Chilean Peso with an average correlation of 0.5. Therefore, by looking at both supply and demand and correlations, we conclude that Copper prices are not expected to rise in the medium-long term. The reasons are: low Oil prices entails lower production costs that allows for low selling prices combined with sluggish Chinese demand that is not expected to spike in the next years. Note that one might argue that the current price of around $4,700 is at the same level of production costs and thus, just like for the Oil industry, supply might fall and have an upward pressure towards price. According to our view though, it is important to keep in mind that for the last 30 years, companies did not emphasize the development of new technologies to improve cost efficiencies because they were concentrated on covering the rising demand for the metal by the Chinese economy. Therefore, if we assume that companies are investing in R&D to pursue this delayed objective, the conclusion is that they will be able to sustain lower prices in the future and this will have another downward pressure on prices. PS. By the way, Copper is toxic. Therefore, do not ever cook acidic food in Copper pots! It will corrode the Copper; and probably it is not the healthiest food around.